The Kensington Conservancy and the St. Joseph Island Hunters and Anglers are excited to announce a new partnership project. They have teamed up to present the first Explorers- Summer Day Camp. This exciting project will run from July 10-14th, 2017 for children ages 8-14. Activities will include learn to paddle brought to you by Algoma Adventures, Nature 101 instructed by Sault College Professor Rob Routledge, Nottingham Archery, Photography, Birding, volunteers from the Hunter and Anglers will give guided tours through their amazing property trails. So much to learn, see and do. The St. Joseph Island Hunters and Anglers will host the camp at their beautiful facility on St. Joseph Island. Snacks and lunches will be provided. The day camp will run from 9:00 to 4:00 each day. 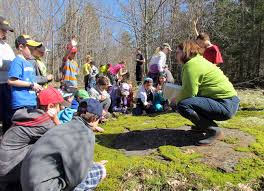 The Kensington Conservancy sees this as an extension of the Jr. Explorer program that offers fun activities for younger children ages 5-8 which has been running from their Desbarats location for 3 years. This program is an environmental education and outdoor appreciation program designed for children ages 5-8 and their families. The Junior Explorers start with a membership sign-up that provides each child with a T-shirt, notebook, activity binder. This year the Jr. Explorer project will continue at a cost of $35.00 for the months of July and August. Watch for an updated schedule on the Kensington Conservancy’s website. 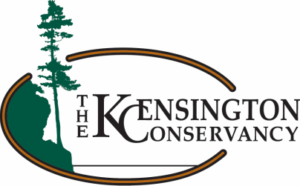 The Kensington Conservancy is a registered charity with its office located in Johnson Township. As a local land trust they are working to protect our precious lands and waters, in perpetuity, having protected almost 900 acres of ecologically sensitive lands in the area. Many of their properties contain provincial significant wetlands. 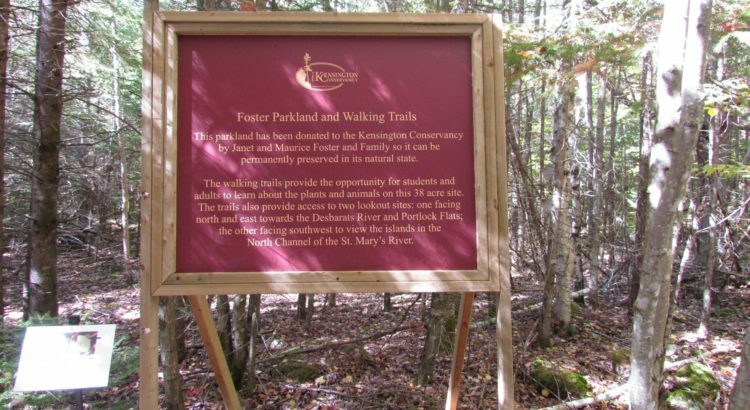 They offer guided tours on many of their properties, as well as have the Foster Parkland and Walking Trails open to the public for hiking anytime. Embracing good stewardship practices, they work with the local communities to develop programs that will promote greener and less intensive development, best land and water management practices, invasive species control, and low impact recreational activities, and good stewardship education.